Railpictures.ca - Doug Page Photo: Power off of (and for) the CP’s Goderich sub wayfreight slumbers at the TH&B Chatham Street roundhouse in January 1967. A pair of SW1200RS units was normal for this assignment in the 1960s. | Railpictures.ca – Canadian Railway Photography – photographie ferroviaire Canadienne. 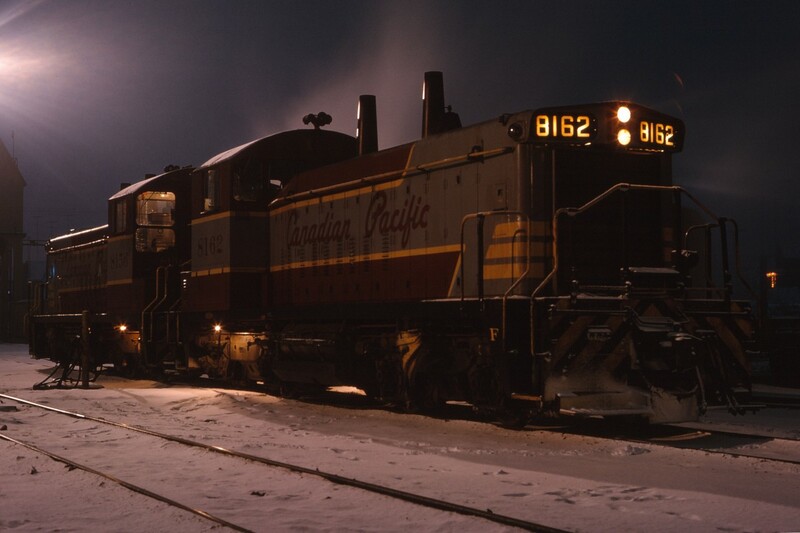 Caption: Power off of (and for) the CP's Goderich sub wayfreight slumbers at the TH&B Chatham Street roundhouse in January 1967. A pair of SW1200RS units was normal for this assignment in the 1960s.